This book visits a range of textual forms including diary, novel, and picturebook to explore the relationship between second-generation memory and contemporary children’s literature. Ulanowicz argues that second-generation memory — informed by intimate family relationships, textual mediation, and technology — is characterized by vicarious, rather than direct, experience of the past. 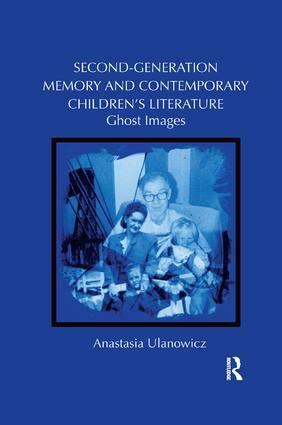 As such, children’s literature is particularly well-suited to the representation of second-generation memory, insofar as children’s fiction is particularly invested in the transmission and reproduction of cultural memory, and its form promotes the formation of various complex intergenerational relationships. Further, children’s books that depict second-generation memory have the potential to challenge conventional Western notions of selfhood and ethics. This study shows how novels such as Lois Lowry’s The Giver (1993) and Judy Blume’s Starring Sally J Freedman as Herself (1977) — both of which feature protagonists who adapt their elders’ memories into their own mnemonic repertoires — implicitly reject Cartesian notions of the unified subject in favor of a view of identity as always-already social, relational, and dynamic in character. This book not only questions how and why second-generation memory is represented in books for young people, but whether such representations of memory might be considered 'radical' or 'conservative'. Together, these analyses address a topic that has not been explored fully within the fields of children’s literature, trauma and memory studies, and Holocaust studies.